How to Make 24 Hours in Prague Interesting? This post will help you make 24 hours in Prague Interesting! Prague is one of my favorite cities in Europe. I like how it easy to walk the streets, the cheap beer, and the architecture especially the Old Town neighborhood. When I arrived to Prague, I booked an apartment in the Old Town area since I wanted to be a close proximity to the shops and restaurants. While this was my second time visiting Prague, I discovered even more new restaurants and bars which I would like to share with you for 24 hours in Prague. Head over to the Old Town as most of these recommendations are within that area. This is a landmark of Prague and a must visit when you are te. The astronomical clock was built during the Medieval Period 600 years ago! Make sure to make climb up to the top of the tower so you can get a nice view of the city. It is adjacent to the clock tower and the current church was founded in 1344 and the architecture was completed in 1929. It is also very close to Charles Bridge but you will have to go uphill. I was mystified the first time I saw this castle. It is a castle complex which began construction in 870 and was completed in 1929. Make sure to save some time for this landmark as it’s quite large! One of my local friends took me to this hidden restaurant in the New Town of Prague. I recommend this restaurant if you are looking for a hearty Czech style meal. First, I tried the Sirloin beef with breaded potato and the sauce was delicious for the beef. I also tried the dumplings which were also tasty and hearty. I was quite full mind you I also washed it down with some local Czech beer they had on tap. These are a few of the restaurants that I tried in Prague. I recommend visiting them when you are in Prague as this was my second trip and I only just discovered them. There are so many good venues in Prague worth going to. It is in the Old Town area only a few minutes from the clock tower. This brewery caught my attention as soon as I walked in I noticed the brewing equipment so I figured I’d give it a try. They have two different types of beer which are light and dark. I tried the lager and it tasted very fresh I would recommend trying it or one of the darker beers. The food at this brewery was also good so if you are hungry don’t hesitate from ordering. I ate the Prague ham, breaded wine sausage, mashed potatoes and carrot salad. It was all very tasty and fresh! Good value for you money as well. I’ve never tried Absinth before and this bar was a recommendation from a friend who had visited before. This bar specializes in different types of Absinth cocktails. The atmosphere of the bar is very comfortable. There are leather sofas as well as art decorations. There are two levels of the bar. On the first floor there is the bar area as well as explanations of the process in making absinth. The second floor has a seating area as well as leather sofas. The first cocktail I tried was the Gingerbread Mole which had a slight ginger flavor. It also had cucumber and orange peel that gave it a sweet and refreshing taste. The other cocktail I tried was the Absinth Basik Mash which contained basil, lime juice and soda water giving it a more refreshing taste. I’d recommended this cocktail on a summer day. If you are looking for a sweeter Absinth cocktail I’d recommend the Absinth Berry which has blueberries, icing sugar and lime juice. 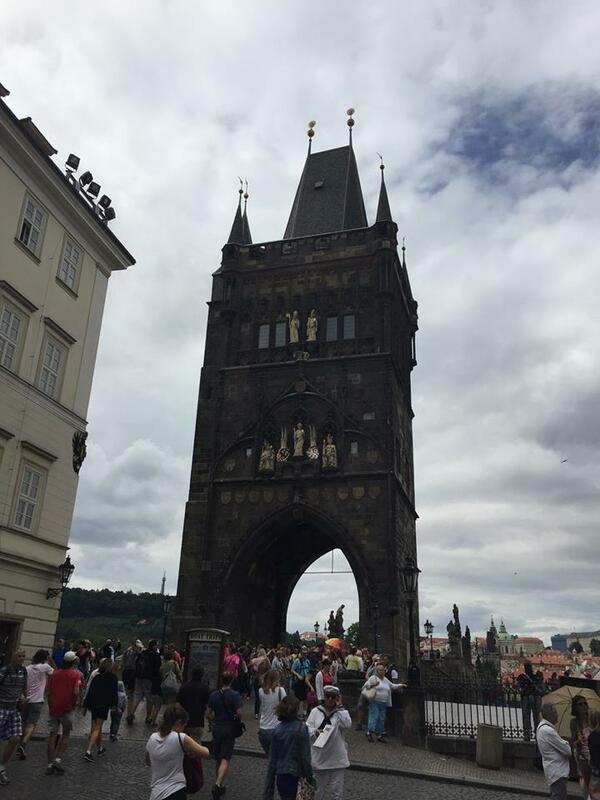 This is a great guide for 24 hours in Prague and enjoy the busy schedule.